Even if your summer vacation isn't just around the corner, it's never too early to start sorting out your packing list. No matter where you're going or what you're doing, the right tech toys can help you make the most of your downtime. So take a break from daydreaming about your upcoming trip to check out our eight favorite travel gadgets. While every smartphone comes with a built-in camera, you'll get better photos and videos with a standalone camera. 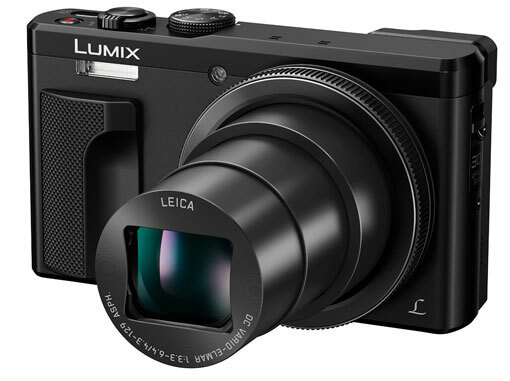 But you don't have to lug around a DLSR with a bulky lens: Panasonic's ZS60 takes 18MP images, shoots 4K video at 30 frames per second and has a 30x zoom in a package that weighs just 9.9 ounces. Though that's heavier than your smartphone — the iPhone 6 Plus is just 6.6 ounces, and Samsung's Galaxy S7 is just 5.3 ounces — this camera is still pocketable and won't weigh you down. In addition to that basic feature set, this Lumix has great low-light performance, high-speed auto-focusing to let you quickly capture perfect pictures, optical image stabilization to make your handheld videos smooth, a 4K photo mode that allows you to shoot 4K video and then pick out the perfect moments as photos, and the ability to modify the focus on images after you've taken them. 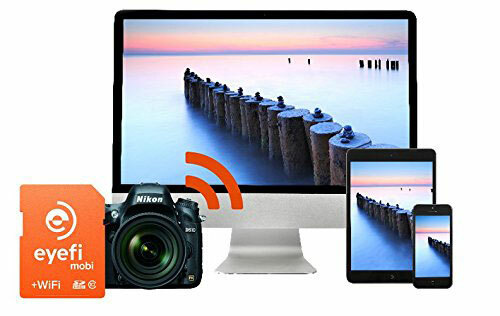 Built-in Wi-Fi makes it easy to share photos by sending them quickly to your smartphone, tablet or computer. If you're looking for a camera with a somewhat smaller price tag, lower-end Lumix models offer some great features for a lower price. Try the Lumix ZS50 ($297.99) or the Lumix ZS40 ($222.99). 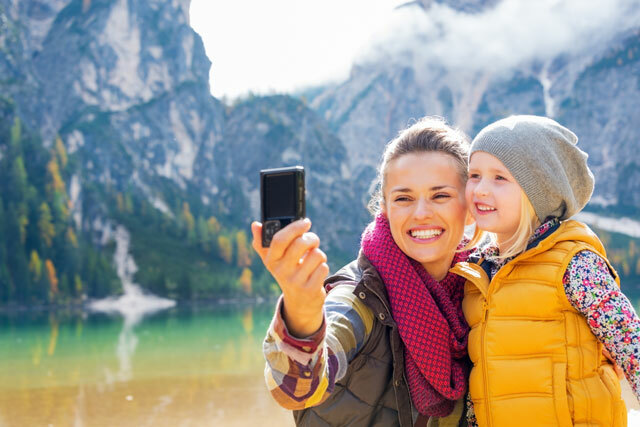 Even if the only camera you’ve brought along is your smartphone, a few accessories can make capturing the memories easier. This selfie kit from Gorilla Gear includes all of them. 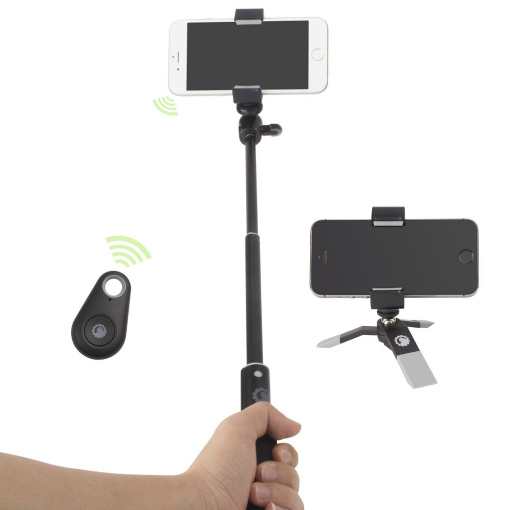 You get a selfie stick (or monopod, if you prefer), a miniature tripod, a smartphone holder and a Bluetooth camera remote that lets you position your camera or smartphone however you’d like to snap photos from afar. If you don't have a camera with built-in Wi-Fi, an Eyefi Mobi memory card will add Wi-Fi to any camera. The Eyefi card will automatically transfer photos from your camera to your iPhone, iPad, Kindle or Android device as you take them, with an app that makes it easy to edit and share. Eyefi has its own cloud service that backs up your photos and lets you view, edit and organize them on any device. It's free for 90 days, but costs $4.99 a month after. These cards are more expensive than their Wi-Fi free competition, which you can also find in larger sizes, but Eyefi cards are definitely a convenience you'll appreciate. You wouldn’t take a beach vacation without your favorite novel to read while lounging in the sun — but these days, we prefer to pack an eReader. A lightweight eReader can hold thousands of books in less space than that of a single paperback, making it a good companion no matter how light you’re traveling. 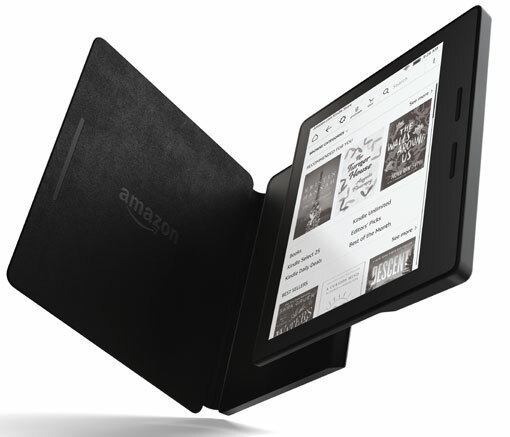 Amazon’s Kindle Oasis is our favorite eReader of the bunch, with a high-resolution, 300-pixels-per-inch screen that looks just like a printed page even in bright light where other tablets typically have trouble. It’s just as good in the dark, with an adaptive light that brightens the screen just the right amount for the current lighting conditions. If you already have a library of digital books from Amazon, you’ll be able to read them on the Kindle, regardless of what device you’ve used before. If you’re new to the Kindle, you’ll need to invest in Kindle books or try out Amazon’s Kindle Unlimited library service to have something to read. If you don't want to spend as much, the latest Kindle Paperwhite features the same 300ppi screen for $119. Though it's not as slim and its screen brightness is adjusted manually rather than adaptively, there's still a lot for a reader to love, especially at that price point. Whether this summer finds you hiking the Appalachian Trail, enjoying a music festival or traveling somewhere else with lousy cellular coverage, getting away from cell service makes it hard to keep in touch. You could rely on a pricy satellite phone or a walkie-talkie, but goTenna offers a convenient way to stay connected with your traveling companions even when you're miles apart and far from cellular coverage. This gadget connects to your smartphone (either iPhone or Android) via Bluetooth, letting you text or send your location (using your smartphone's GPS functionality, which works without cellular service) to other goTenna users within range. The exact range depends on the terrain but can reach up to a mile in urban areas or four miles in the wilderness. 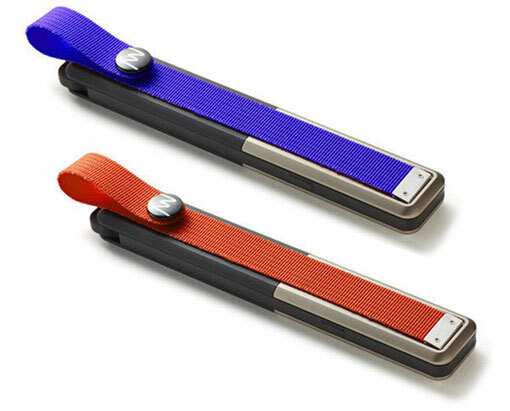 You can send one-to-one messages, group messages or "shouts" that send to any goTenna in range. One-to-one and group messages are protected by encryption. Though goTenna is a bit pricy at $199 per pair, there are no subscription fees. It's an important travel companion if you're heading off the grid. The less stuff you have to lug around (and keep track of) when you're traveling, the better. That makes multipurpose devices like the Outdoor Tech Buckshot Pro perfect travelers. This three-in-one device acts as a wireless speaker to connect to your mobile device via Bluetooth, a portable power bank for recharging your gadgets, and an LED flashlight. It's both water- and shock-resistant, and its sturdy mounting strap can attach to a bike, a backpack or just about anything else. This makes it a good companion for outdoor activities, whether you're going camping or enjoying a picnic in the park. 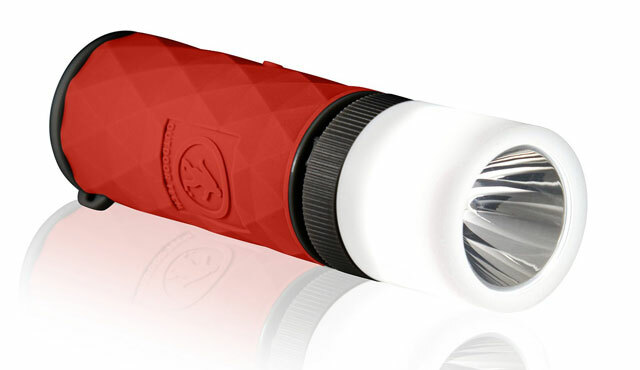 The Buckshot Pro weighs in at 6.7 ounces, about the weight of a softball, and the flashlight portion can be removed to lighten it up even further. The 2,600mAh battery plays music for about 10 hours, but it's certainly not the strongest recharger on the market; our favorite high-capacity standalone battery pack, the Monoprice Select, is 10,000mAh. Still, the Buckshot Pro provides enough juice for a family day trip, capable of fully charging an iPhone 6 about one and a half times and charging an iPad Air 2 from nothing to about one-third battery power. Hotels are notorious for not having enough electric outlets for the modern traveler’s electronics, making a portable power strip a great resource to bring along. 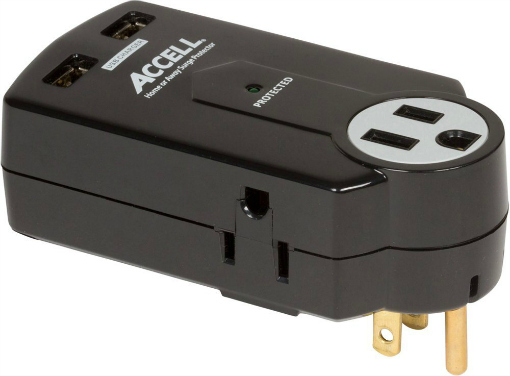 The Accell turns a single outlet into three outlets, offering two USB plugs suitable for charging all of your gadgets. You'll make fast friends if you find yourself using yours at the one available power outlet at the airport. 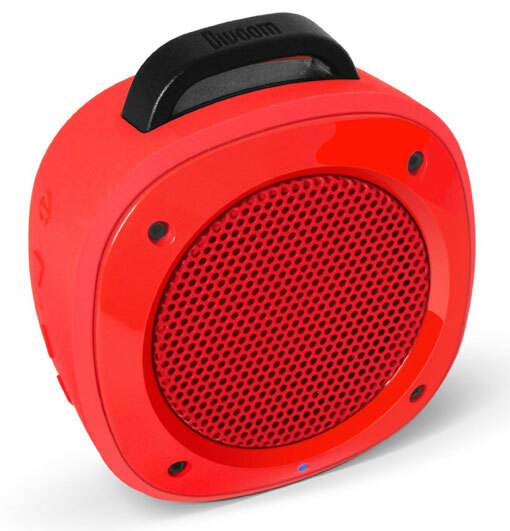 If you're looking for a portable speaker without all the extras, the Divoom Airbeat 10 is a good choice. It connects to your mobile device via Bluetooth to play music (or anything else) for about six hours, making the Airbeat best for shorter excursions. At 7 ounces, it's around the same weight as the Buckshot, though it's square while the Buckshot has the cylindrical shape of a flashlight. Since it's focused on music, you'll get sound that's a bit louder and a bit better. The Airbeat has a rugged, water-resistant design and comes with both a bike mount and a suction cup to attach it to any convenient surface, making it equally at home outdoors or in the shower. When attached to a hard, flat surface, the surface itself becomes a subwoofer to provide a lot more audio oomph. If your summer vacation involves mountain biking or just hotel hopping, the Airbeat 10 is a good companion for keeping your music collection handy. Snorkeling? Waterskiing? Lounging on the beach? 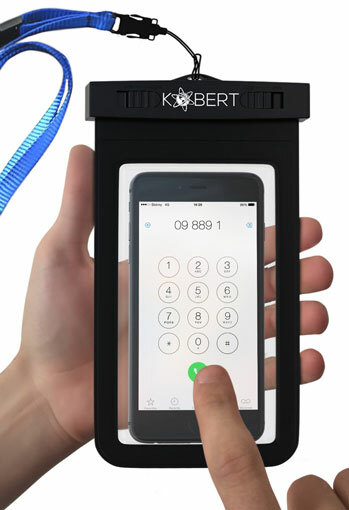 If you're carrying your smartphone, you'll probably want to keep it safe from water or sand, and Kobert's waterproof cases are perfect for that. These cases are clear plastic pouches with an easy-to-close lock at the top that seals your phone inside. They're IPX8-certified, the highest waterproof rating, meaning they can be submerged in water to a depth of 100 feet without any harm to your phone. At 6.49" x 3.34" x 0.78", the pouch is large enough to fit most smartphones and sometimes extras like your ID, cash and credit cards. Larger phones like the iPhone 6 Plus will need to be removed from their cases first. While your phone is sealed inside, you can use it as usual: talk, text, play games, take photos and even post to Facebook. The clear plastic allows for distortion-free photos and videos even underwater, though Kobert recommends using your phone's volume control buttons to snap pictures because the screen can be less responsive under water. The best part of these cases is that they are so affordable. If your vacation is taking you anywhere near the water, the $10 investment is well worth it to keep your smartphone safe. The worst part of any beach trip is the sand that gets absolutely everywhere, and that's where a CGear sand-free mat or rug is invaluable. 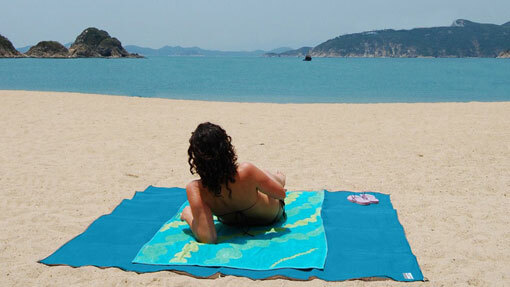 Made from a special material developed for the military, the sand, dirt and dust will fall through these mats but not come up to the surface, giving you a sand-free space for picnics, camping or hanging out on the beach. The sturdy material is designed to hold up to wear and tear, and the rip-stop weave prevents the fabric from fraying. If it gets dirty, just hose it down or use a mild detergent to make it good as new. CGear offers a mat and a rug. The mat is a smooth material designed to be staked down for long-term use in place of something permanent like a concrete slab; it will hold up to patio furniture as well as stomping feet, all while keeping sand and dirt to a minimum. The rug is more like a picnic towel or beach blanket, with a softer, woven top layer that holds up just as well to sand and dirt. The mat is available in 6' x 6', 8' x 8' and 10' x 10' sizes, while the rug is slightly smaller, available in 3'4" x 6'6", 5'1" x 6'6" and 6'6" x 6'6" sizes. If you're looking to accessorize for your beach trip, CGear's sand-free tote bag is perfect for keeping sand out of your stuff. Wherever you're headed, you'll need a solid suitcase to carry your travel gear. 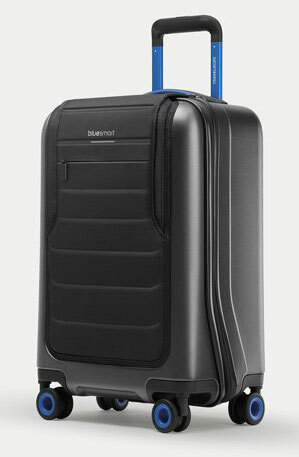 The Bluesmart Smart Suitcase adds high-tech features to the standard suitcase including a built-in luggage scale, a battery pack for charging your mobile devices, a location tracker and an automatic lock that can be controlled by a smartphone app. These are all things you could buy piecemeal and then add to your existing suitcase, but Bluesmart is an all-in-one package. When used as your only bag, this carry-on is better for short trips like a long weekend, though it would do great as a carry-on companion to a checked bag for longer jaunts. A front pocket for your laptop or tablet gives you convenient access to essentials without digging through the bag (ideal for going through security). Two USB ports, one inside and one outside, make it easy to charge almost any gadget from the built-in 10,000mAh battery (enough to charge your smartphone about six times). If you ever get separated from your bag, it will automatically lock and you can track it with your smartphone via the bag's GPS and 3G service, which works in over 100 countries at no extra charge. Wonderful article and very useful gadgets. I love my DLSR and can’t imagine a moment without that while on travel. No doubt that these are great gadgets to have when travelling. Just wanted to add that if you’re going on a road-trip, don’t forget to bring along your car usb charger… life-saver!